You just came back from vacations? It’s time to plan the next ones! 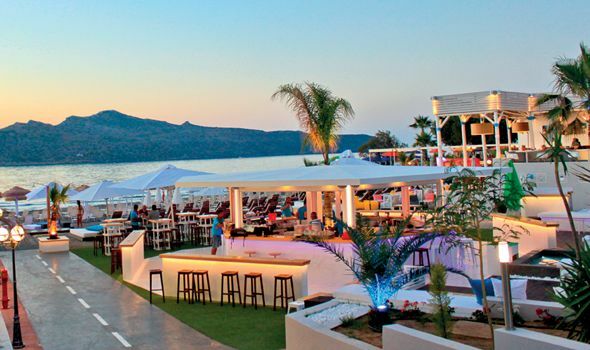 What could be better than an escapade to a greek island? 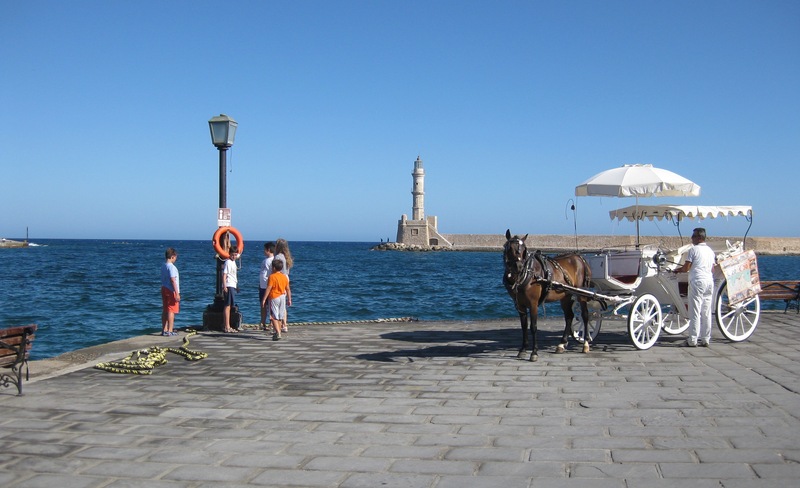 Crete is a perfect choice, boasting some of Greece’s most beautiful beaches. But even if you are not a beach person, there are plenty of mountains, canyons, caves, ancient monuments, beautiful villages… so many places worth visiting, so many things to do, day and night… not to mention the fantastic food! Take a walk to the lighthouse to enjoy a panoramic view of the harbour, then head to another emblematic building of the Old Port: the Kiutsuk Hasan Mosque. Stroll along the narrow, intrincated roads of the city, visit the museums and churches, admire the districts of Topanas, Kastelli, Splantzia, Halepa and the Jewish Quarter. 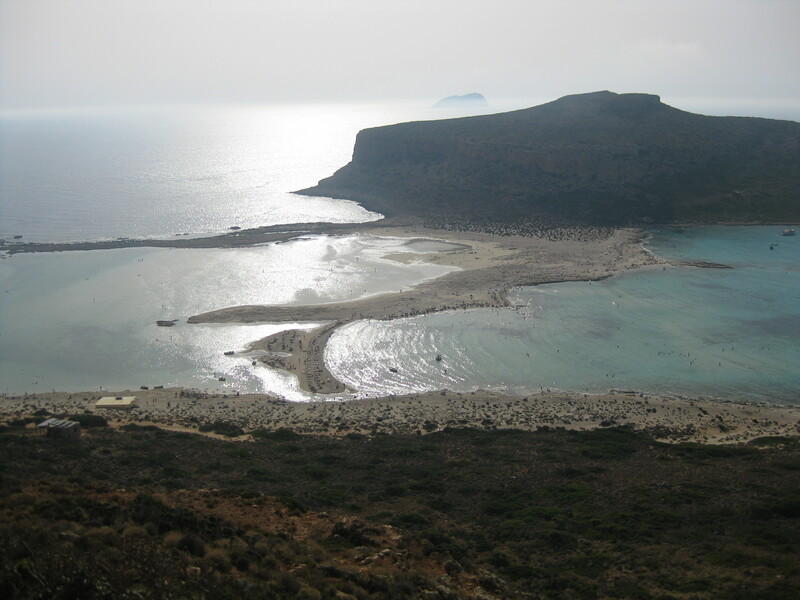 Falassarna beach, together with Elafonissi and Balos (see below) is regarded as one of the most beautiful beaches of Crete and, according to CNN, as one of the world’s 100 best beaches. 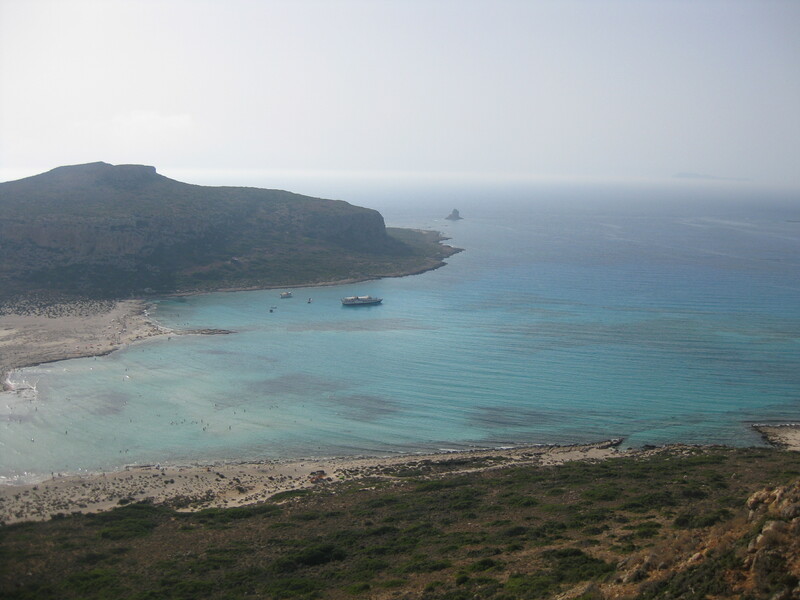 It has amazing golden sand and turquoise, crystalline waters … Located about 53 km from the city of Chania, is easily accessed by car or even by public bus. The only disadvantage of this beach is that is frequently exposed to strong winds (especially during August), so you may encounter big waves; that makes Falassarna a very popular destination for windsurfers. Unless you are a skilled windsurfer, should it get too windy, don’t panic. 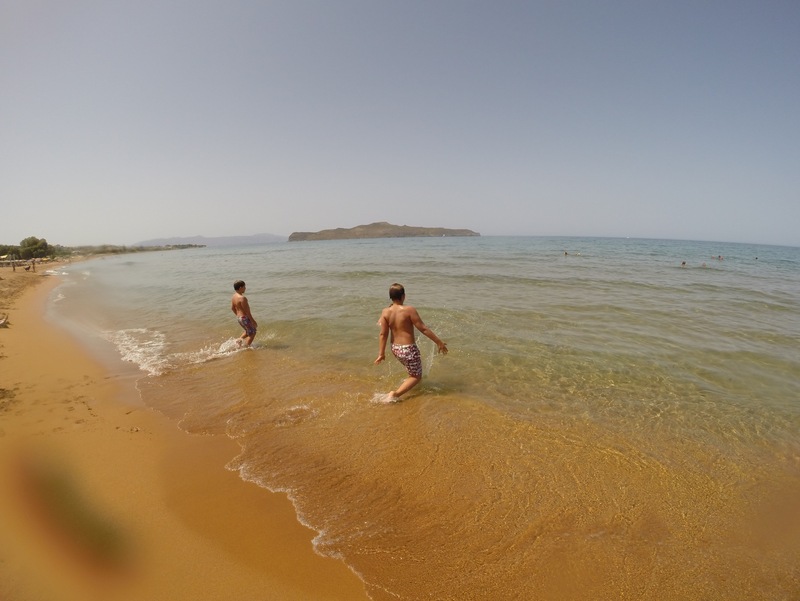 Marathi beach, situated only 16 km far from Chania, is a great alternative. This nice beach, located on the southeastern tip of the Akrotiri peninsula, is well guarded from the winds, which assures that it never gets wavy… It may not be as spectacular as Falassarna, but it has warm, clean waters and golden, thin sand, many tavernas and cafes by the sea, and nice views of Souda Bay’s shores and the White Mountains… enough reasons to visit Marathi, especially for those of you who travel with small children. 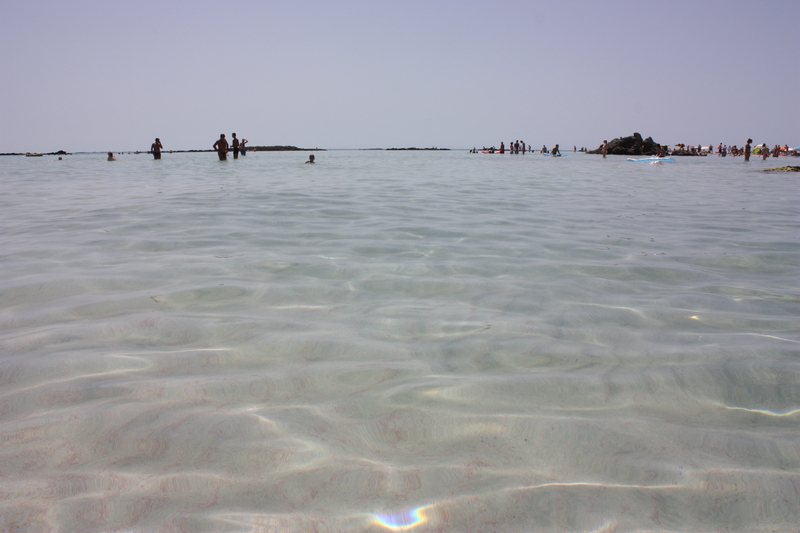 Maybe less known than the world-famous cretan beaches, the Apokoronas region definitively deserves a visit. 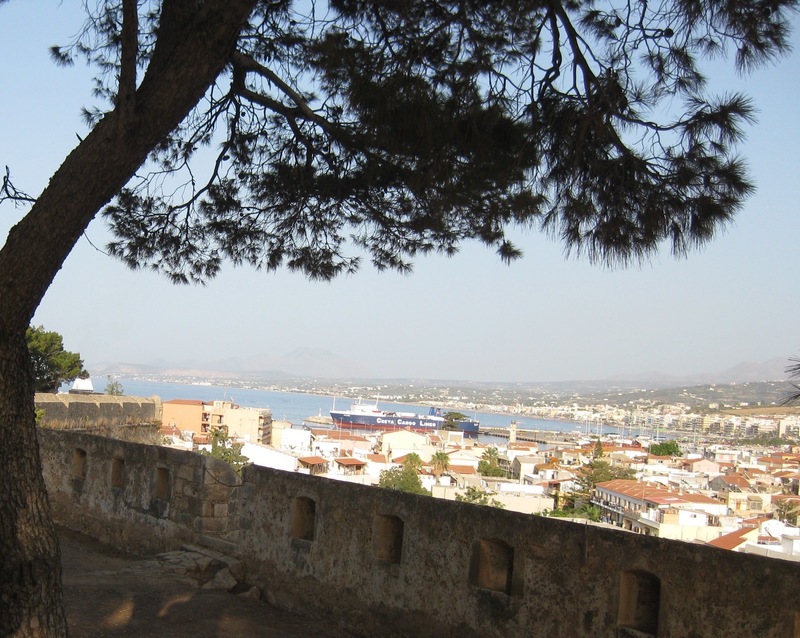 Surrounded by the White Mountains, reaching the Cretan Sea, this blessed-by-nature area plenty of rivers, lakes, caves, vineyards, olive groves, hosts bizantine monasteries, Venetian Castles, an ancient city and 75 traditional villages. 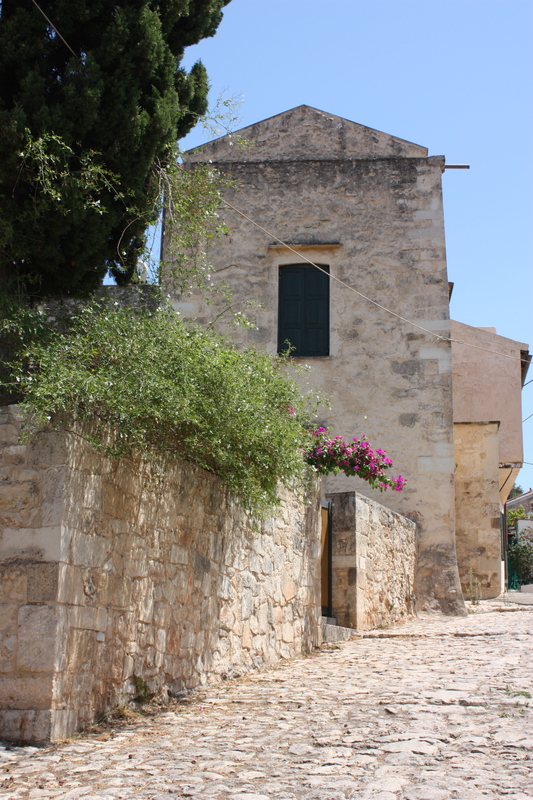 Apokoronas’ rich nature and interesting architecture have endowed it with an unparalleled beauty. 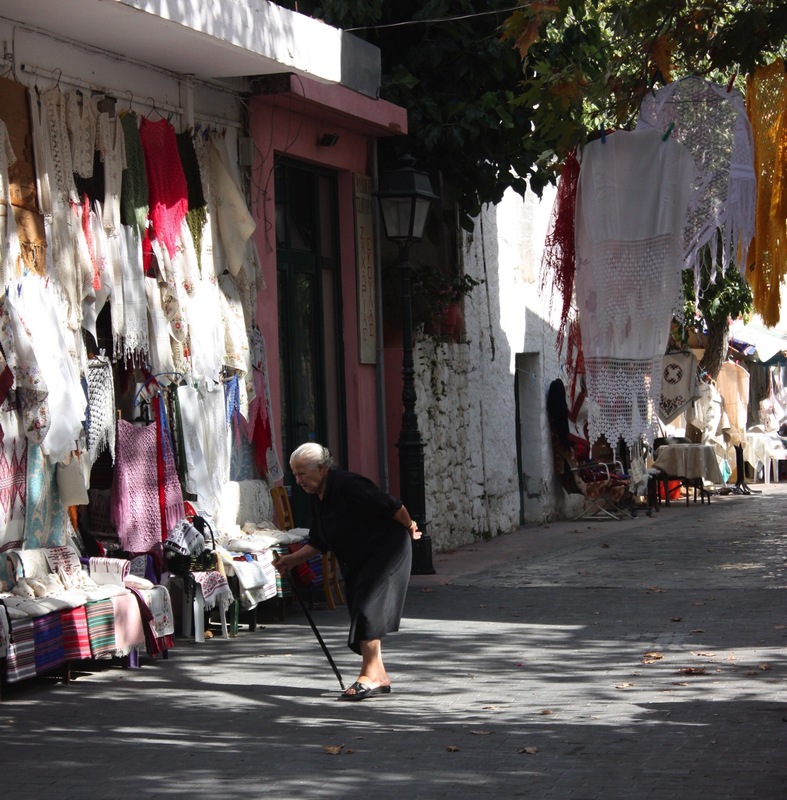 Get your camera ready for a stop in beautiful Vamos, a well-preserved village with authentic Cretan-style architecture. 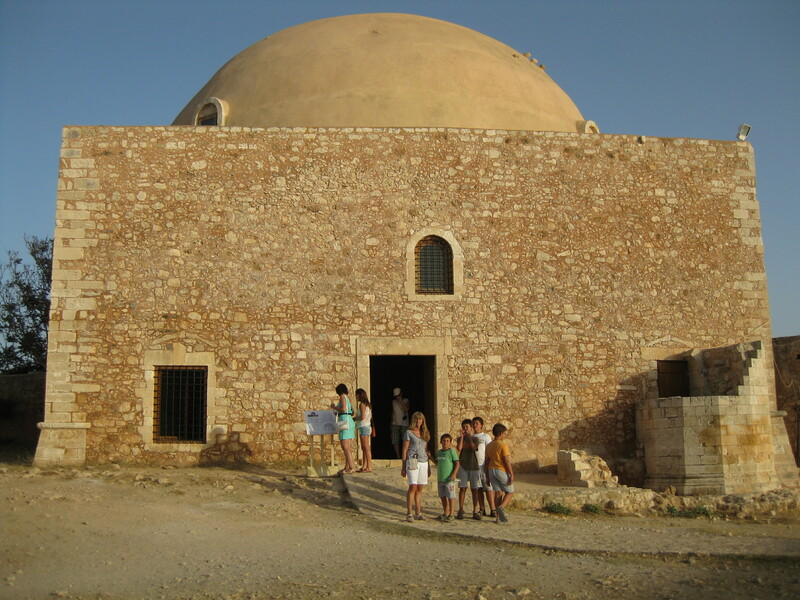 Near to Vamos, the imposing monastery of St. George of Karidi warrants a detour. 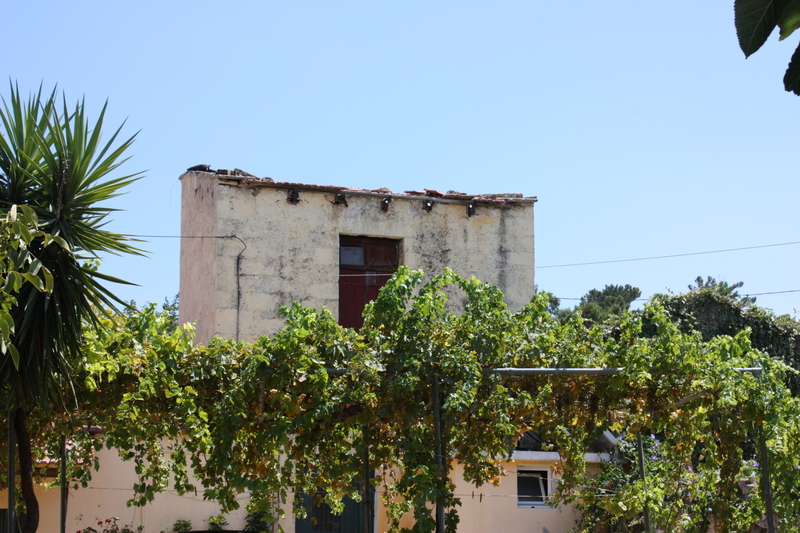 Other villages worth visiting are: picturesque Gavalochori; delightful Vrisses and Argyroupolis springs, both plenty of running water and plane trees; the seaside resorts of Kalyves, Almyrida and Georgioupolis; super green Armeni, with its leafy plane trees, springs -and its renowned tavernas. 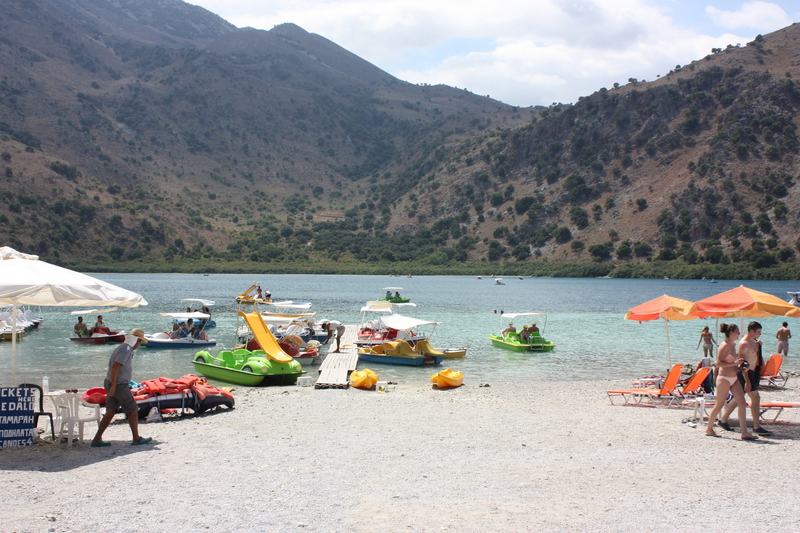 Another must-visit in Apokoronas is Kournas lake. This beautiful lake is so deep (22,5 m) that locals used to believe that is bottomless. The lovely surroundings -protected by Natura 2000- can be admired by swimming across the lake, renting a pedalo, or just sitting in one of the tavernas or cafes overlooking the lake.…Kournas lake is also a good option when the beaches get too windy. 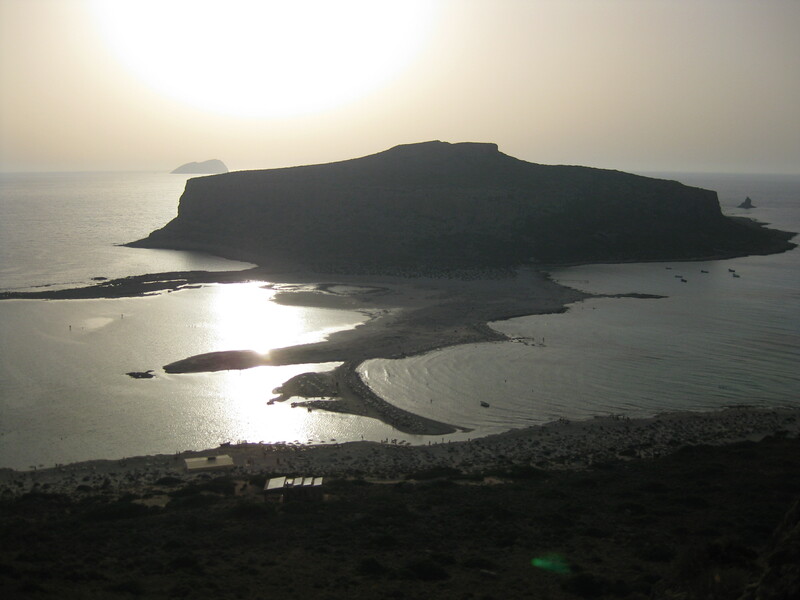 When visiting West Crete, a sea bath in the Libyan Sea cannot be missed… The beaches in the southern side of the island are usually more quiet, less windy and less crowded than their pairs in the northern side. Plakias beach, located 40km southwest of Rethymno, is a long and wide sandy beach with crystalline, warm waters, situated in a closed bay surrounded by mountains. The eastern side of the bay is the quieter, and is usually taken by nudists. 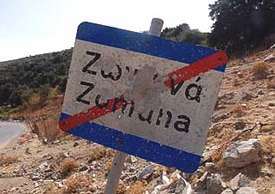 To get to Zoniana, the road itself, 53 km far from Rethymno, climbing up 630 meters on Mount Psiloritis, will already set you in the mood. Although the village of Zoniana itself does not have any particular touristic attraction (except for a wax museum), Zoniana’s cave, called Sfentoni cave is not to be missed. There are more that 4500! caves in Crete, but only three are open to the public, and Sfentoni cave is the largest one of those. After entering the cave our guide explains us how the stalagmites and stalactites originated, talks about the animals that inhabit the cave (about 400 bats! among others), and tells us about the history and myths surrounding it. 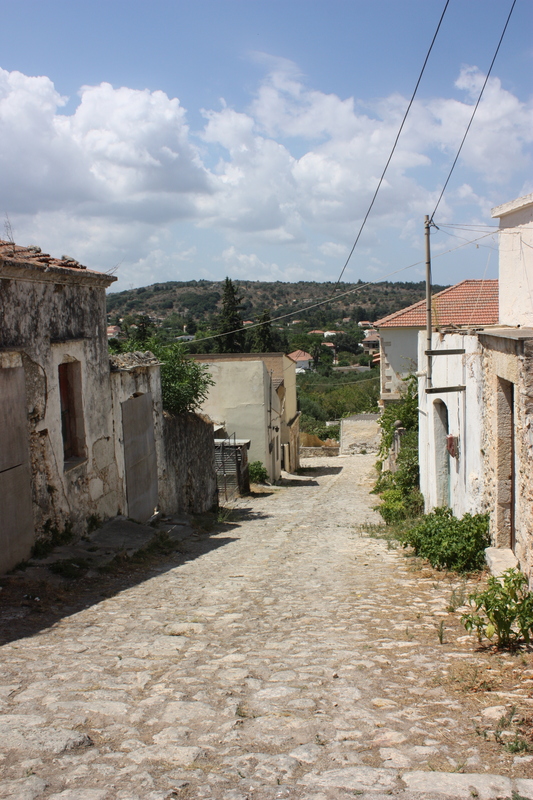 A 15-minute drive will lead us to our next destination, the traditional village of Anogeia. Anogeia, perched on the slopes of Mount Psiloritis at an altitude of 740 meters, has a powerful history (it was burnt twice, by the Turks and by the Germans) and a strong character, which keeps being passed from older to younger generations. Agios Georgios square is the ideal spot to drink a greek coffee at a kafenion, or try local dishes accompanied by some raki. 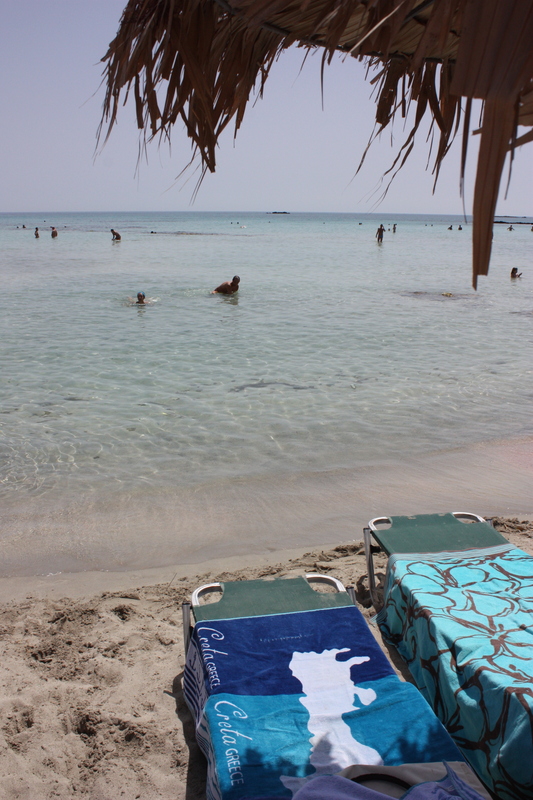 Today the wind is over: a perfect day to visit Elafonissi. I couldn’t wait to see this world-famous beach, and I did not get disappointed: Elafonissi is one of the most beautiful beaches I have ever seen. 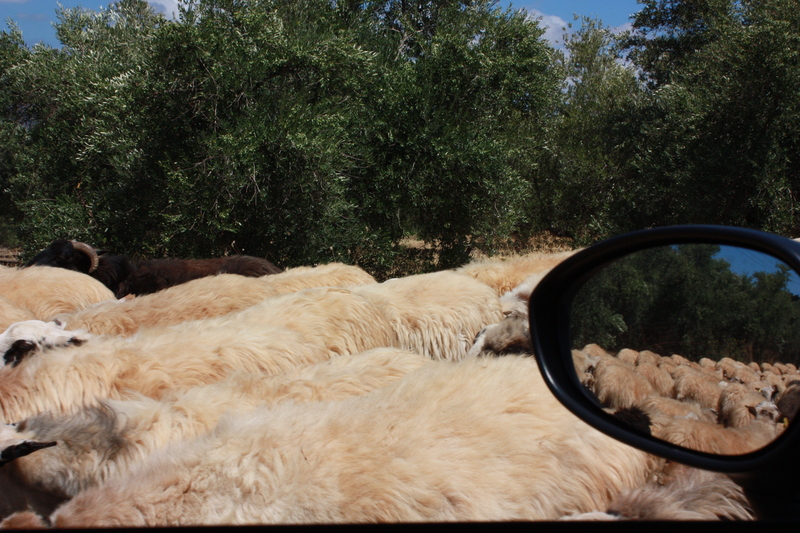 Located 76 kilometers far from Chania, in the southwest part of Crete, it does get crowded, especially in August, but even so it’s an absolute must. 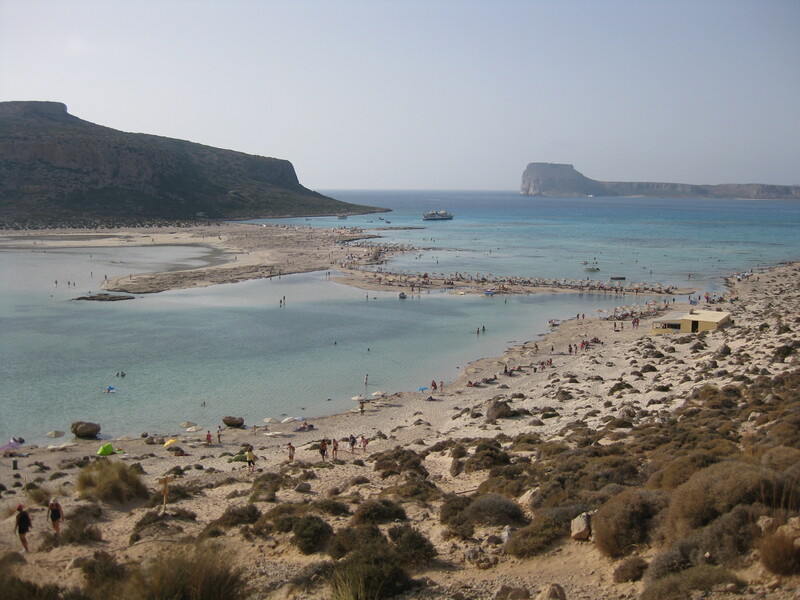 What makes Elafonissi such an exotic place is the presence of sand islets forming a sort of lagoon with shallow and crystalline waters, and certainly the powder sand which eventually gets pink due to the presence of crushed oyster shells. 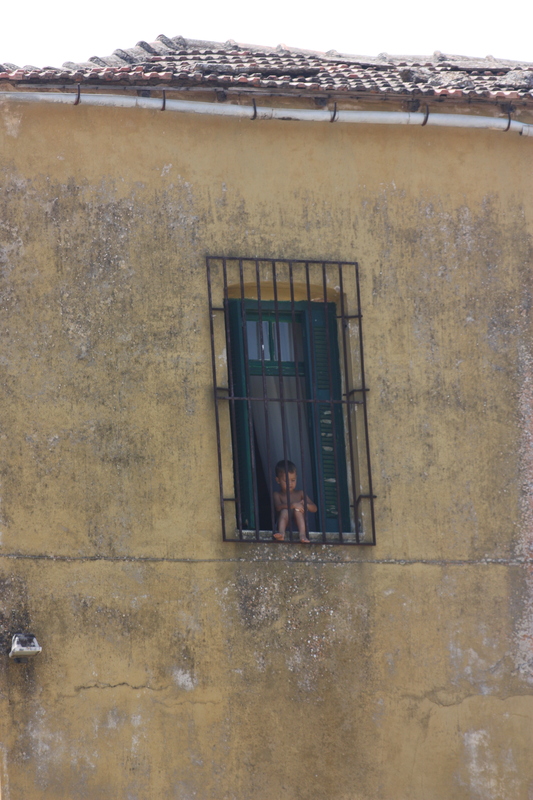 A trip to west Crete is not complete unless you visit beautiful Rethymno. 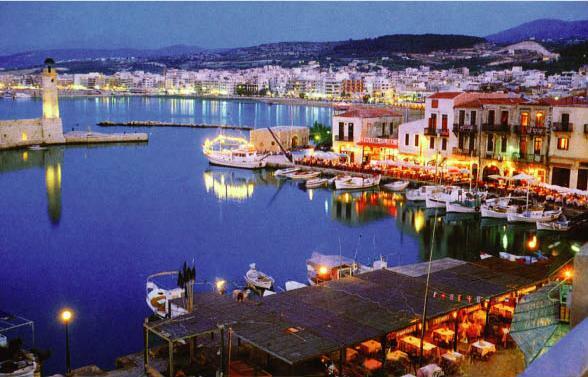 This pleasant city, the third largest in Crete, has managed to keep a “small town” air, and to preserve its Venetian and Ottoman heritage. 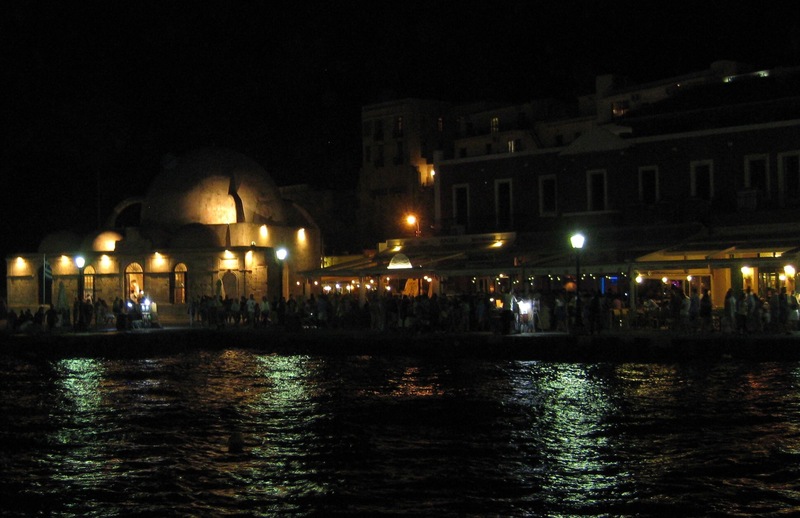 The Venetian Harbour is a nice place to get a coffee or eat some -delicious- cretan food at a traditional taverna. In the meantime you can admire the small but strong breakwater, which for 8 centuries has been proudly facing the tough waves of the Cretan Sea. The imposing lighthouse although built by the Turks, matches perfectly the Venetian style. 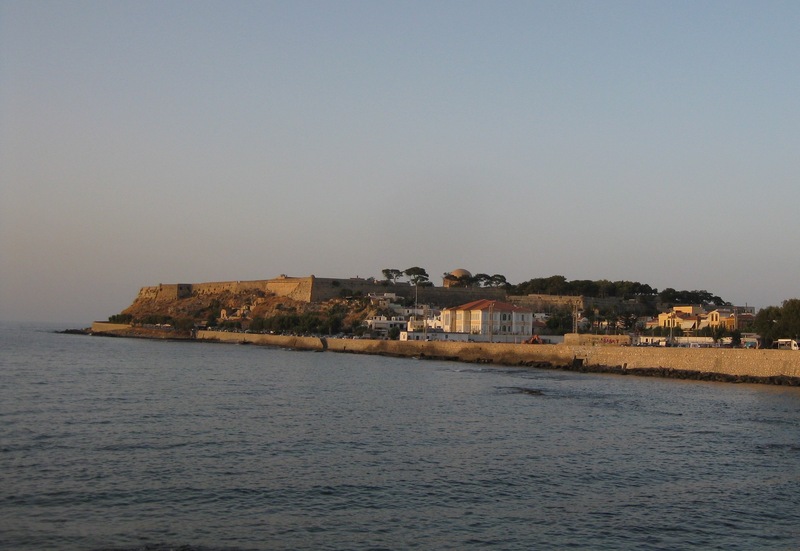 The magnificent Fortezza (fortress) dominates the city, and a visit to it is warranted. It was built by the Venetians in the 16th century to protect the town from the Turkish pirates; besides the impressive 1300 meters of walls, we can still appreciate some other remains from the Venetian era: water cisterns, guardhouses, barracks, and arsenals. The mosque was built during the Turkish occupation (in the place of a Venetian cathedral); it has an impressive dome with the lovely mosaics. After that, wander along the narrow alleys of the well-preserved old city, discover picturesque corners and architectural treasures… Indulge yourself shopping souvenirs, local products or folk art. 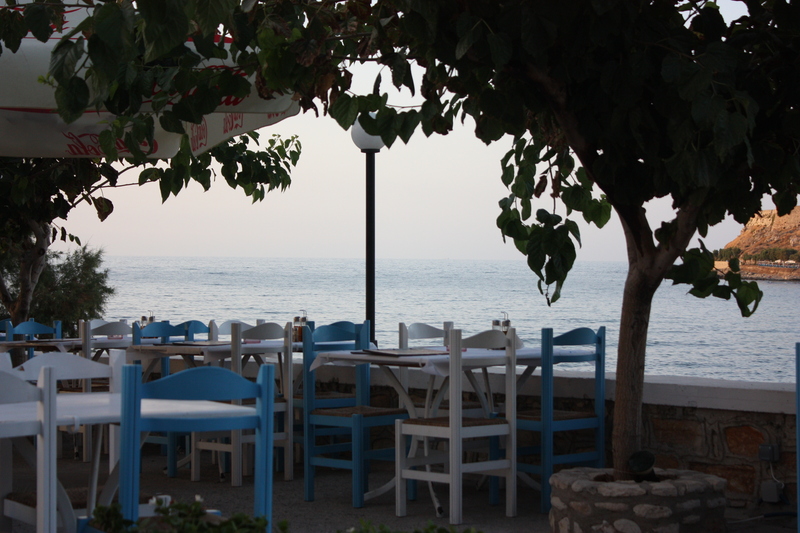 Α perfect ending for a day in Rethymno is a promenade at the seaside and a dinner at one of the numerous tavernas overlooking the sea and the imposing Fortezza. The imposing rock that emerges from the sea, the white sand and the shallow turquoise waters resemble a work of art… The area has rare species of flora and fauna, and is protected under the Natura 2000 program. 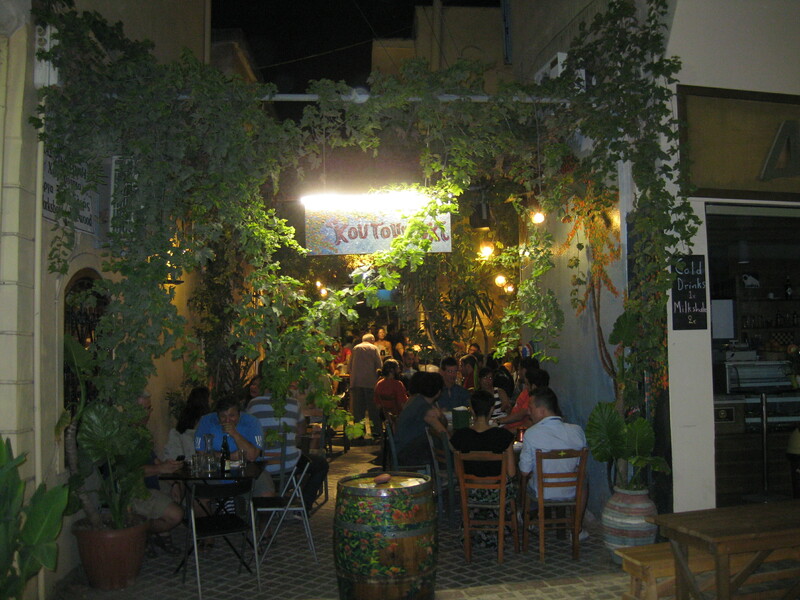 What is the name of the taverna with all the greenery in the second-last image in Chania?